The Chinese Monkey King soars into the heavens and delights in his new job in the Heavenly Peach Garden. 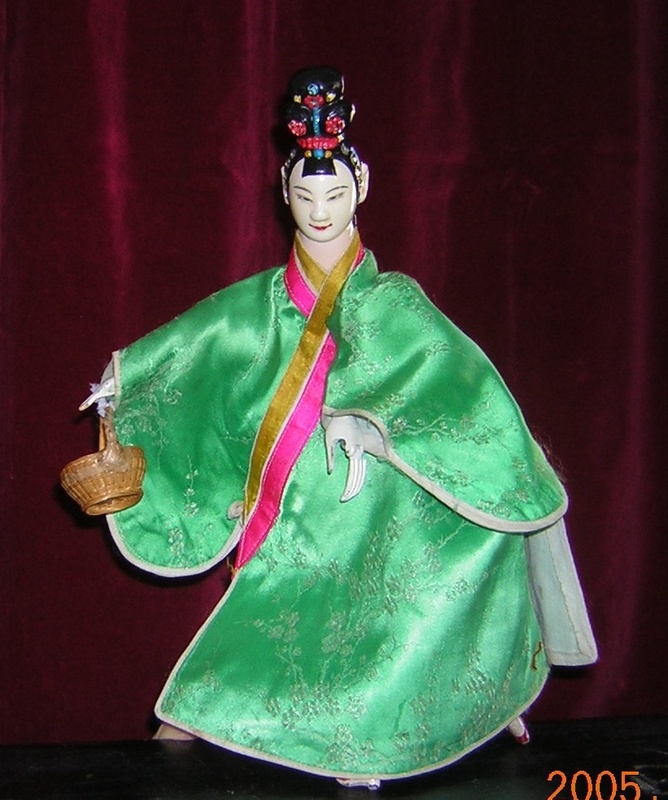 But when he discovers he has been left out of the Jade Emperor’s Peach Blossom Banquet, Monkey flies off to make mischief in the Heavens. 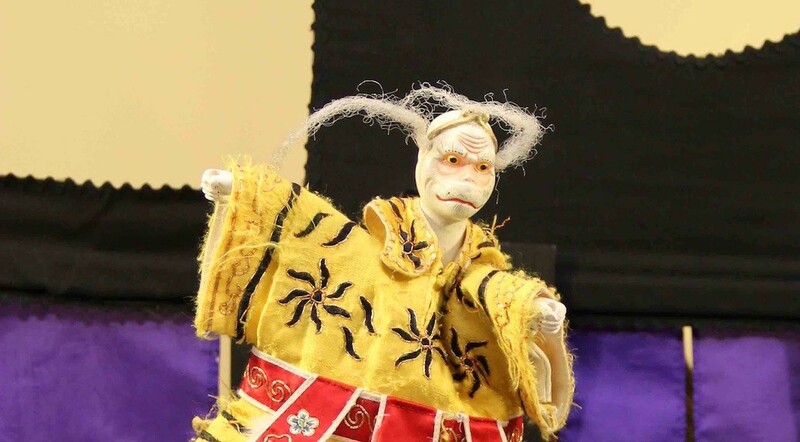 This lively episode of the Chinese epic Journey to the West features traditional (掌中戲）hand puppets and choreography which I studied with the I Wan Jan Traditional Hand Puppet Troupe in Taiwan (亦宛然掌中劇團）. The show is best for ages five and up. Come in From the Cold! 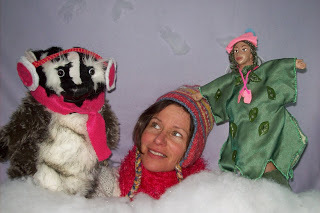 Please join Margaret Moody for puppet shows in Arlington. 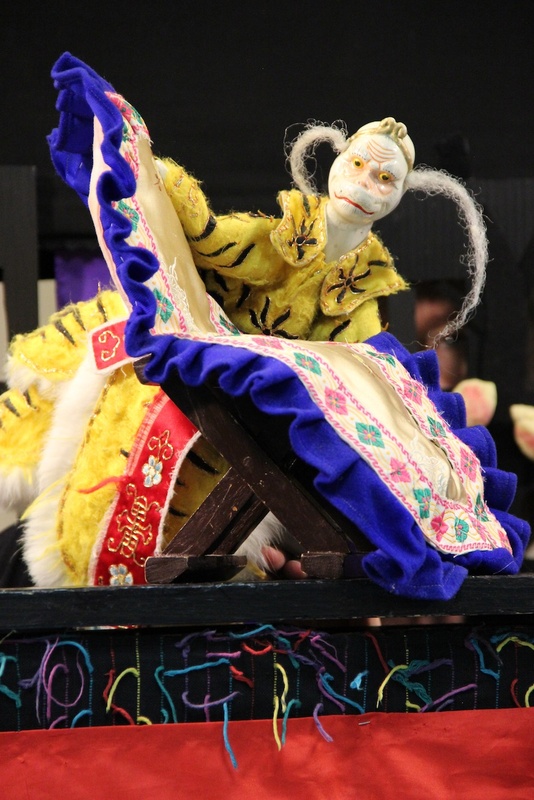 The shows last around 40 minutes and we hope you’ll stay for coffee and puppet-play afterwards. “Cow and Mouse’s Picnic” and “Mathilda’s Bath,” two lighthearted shows for children 4 to 7, and their families. Saturday, January 16th, 2 p.m. at Arlington Center for the Arts, 41 Foster Street, Arlington, 02474. Sloppy, raucous trolls move into Trinka’s kitchen. Best for ages 4 to 10. Gentle Mr. Badger flies away to help the fairies. Best for ages 4 to adult. February 3 and 4, “Badger Meets the Fairies”, 10:30 a.m.
February 10, 5 p.m., “Monkey Wreaks Havoc in Heaven”, 5 p.m.